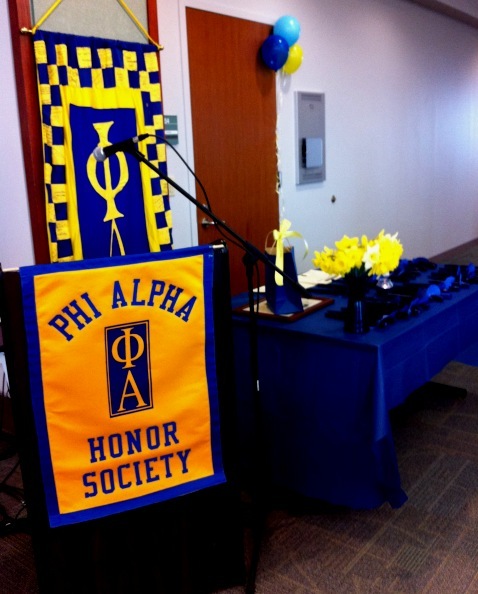 Phi Alpha Honor Society is welcoming new students to join the honor society. Our mission as stated in the National Honor Society brochure is to “provide a closer bond among students of social work and promote humanitarian goals and ideals.” We hope that you will get involved with the chapter and take advantage of the opportunities your membership affords you to learn, grow and make a difference. have achieved a 3.50 grade point average in required or elective social work courses. Phi Alpha was established in 1962. The purposes of the Honor Society, as stated in its brochure, are to “provide a closer bond among students of social work and promote humanitarian goals and ideals.” Further, Phi Alpha “fosters high standards of education for social workers and invites into membership those who have attained excellence in scholarship and achievement in social work.” At present, there are 62 chapters of the Honor Society in schools around the country, including the established chapter here at U.M.B.C.